Rebel Visionaire: #Femme: Chic DIY. 1) Current/Elliott denim jumpsuit. 2) Boy. by Band of Outsiders shirt. 3) MCQ Alexander McQueen pumps. 4) Alexander McQueen scarf. A DIY #femme is the kind of young lady that knows how to be cool and stylish, but sporty and casual as well. 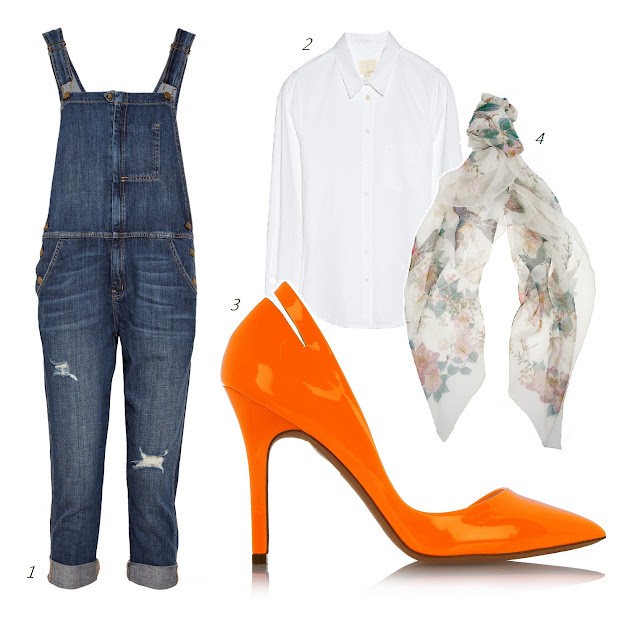 Bold orange combined with denim, a white shirt with a cool McQueen scarf and here you are!